Tanner Foust gets a low five from Dave Mirra’s daughter after his victory in round #2, had it not been for the red flag, Mirra and his girls might have been looking down on Foust from the top spot. Picture Neil McDaid. ﻿Millville, NJ --RallyCar-Group, the organization behind bringing European style RallyCross to the USA has set the stage for a dramatic climax to their first championship season at New Jersey Motorsports Park November 6-7, 2010. 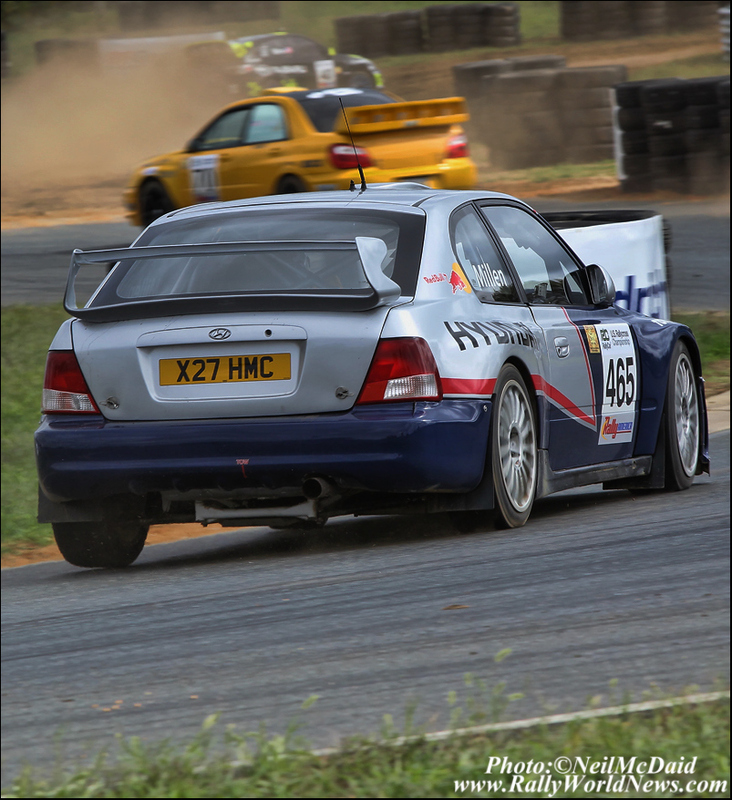 In their maiden year with just two events under their belts, RallyCar have taken note of what worked and what did not in the opening rounds and have made some significant changes to the course and schedule for the final rounds. Most notable, they have significantly changed the track layout. Gone are the long front and back straights where we witnessed the factory supported drivers cruise away from the privateer men in the first two rounds. Gone is the back section of the track where the cars would disappear out of the spectators’ view. The new layout is a tighter, shorter, more fan friendly format that will significantly level the playing field between the drivers. 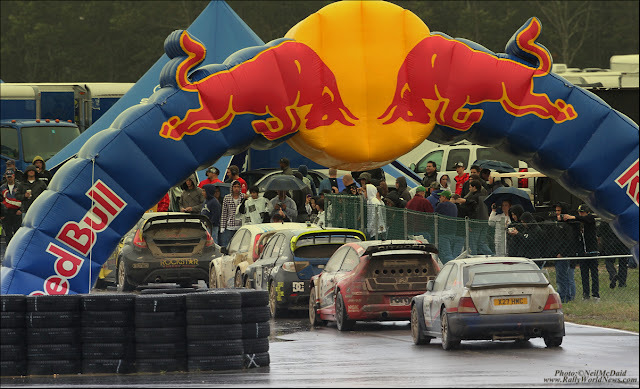 It will most likely increase the chances of contact with very tight door-to-door racing through the longer dirt sections. The original calendar for the 2010 season listed just three events to make up the championship. However, the organizers have split the last round into two separate events run on Saturday and Sunday, which will make four points scoring rounds in the 2010 Championship. The final rounds have drawn in some of the top European RallyCross drivers. In addition to English driver Liam Doran in the Citroen C4, who competed in round 2, we will see the 2010 European RallyCross Champion Sverre Isachsen of Norway in his Ford Focus ST T16. 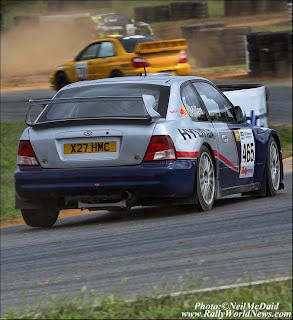 Swedish Rally and RallyCross legend Per Eklund will be on hand with his Saab 9-3. Eklund has elected not to drive but to put his nineteen year old RallyCross prodigy Toomas “Topi” Heikkinen behind the wheel of the AWD Saab. 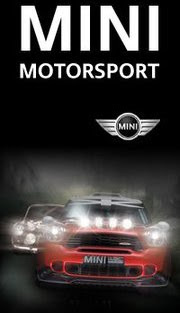 Indeed the Yanks will have their work cut out for them with the influx of these top European competitors. 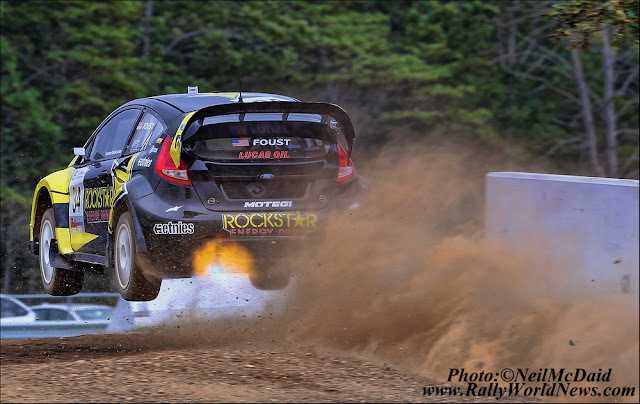 Leading the charge for the American drivers will be Tanner Foust in the Rockstar Energy Drink Ford Fiesta. Tanner dominated the first two rounds, taking the top spot on the podium in both events. Foust might lose some of his edge with the move to the new track format; nonetheless one should expect Tanner to stay in contention. Despite getting onto the podium in round 1, Team Subaru driver Travis Pastrana has had somewhat of a disastrous start to his RallyCross endeavors. Several crashes and engine failures have plagued the multi-time U.S. Rally Champion. 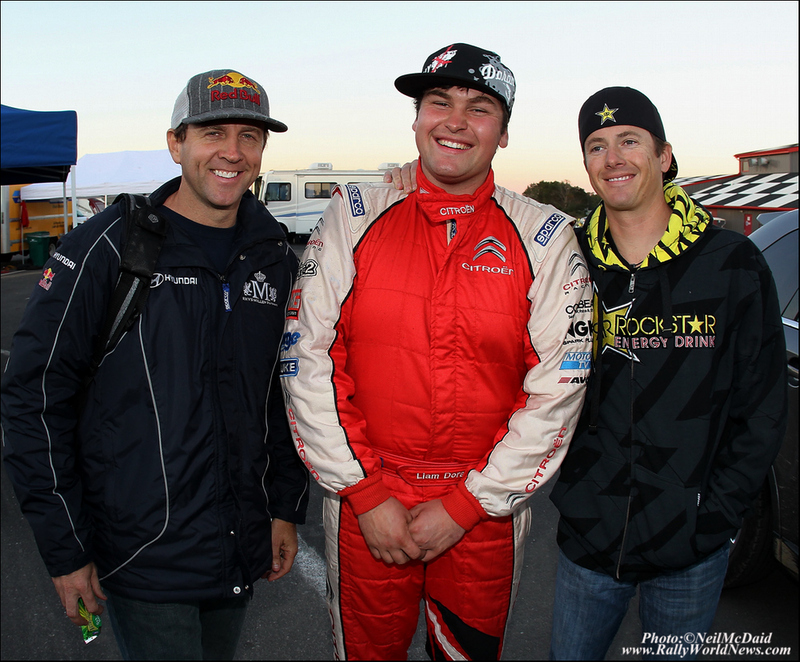 While Pastrana has struggled, his Subaru teammate Dave Mirra has improved with every round. Dave is currently sitting second to Foust in the point standings. ﻿Hyundai USA and Rhys Millen made a late entry at round 2 and spent most of the weekend figuring out how to make their WRC Accent work as a RallyCross car. Although Millen did not factor in the final standings, we expect to see a step up in game from the multi-talented driver next weekend. The final rounds will also see a healthy crop of U.S. stage rally regulars trying their hand at RallyCross in both AWD and 2WD divisions. ﻿﻿﻿Matt Johnson might very well have an uphill battle to defend his most excellent 2WD victory in round 2. 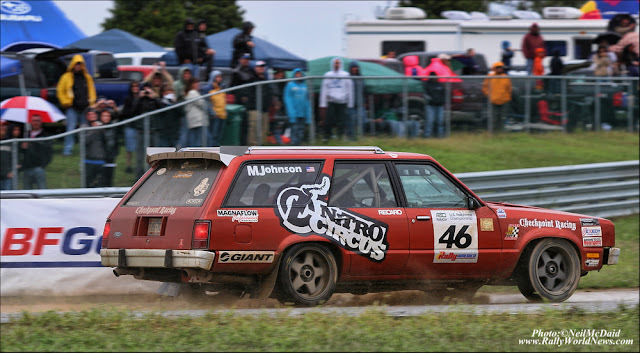 Matt drove the Nitro Circus sponsored retro Ford Fairmont to the top spot on the podium. The new track layout might just have a little bit too much dirt for the old Ford so we expect to see Josh Wimpy and Dillon Van Way having the edge. 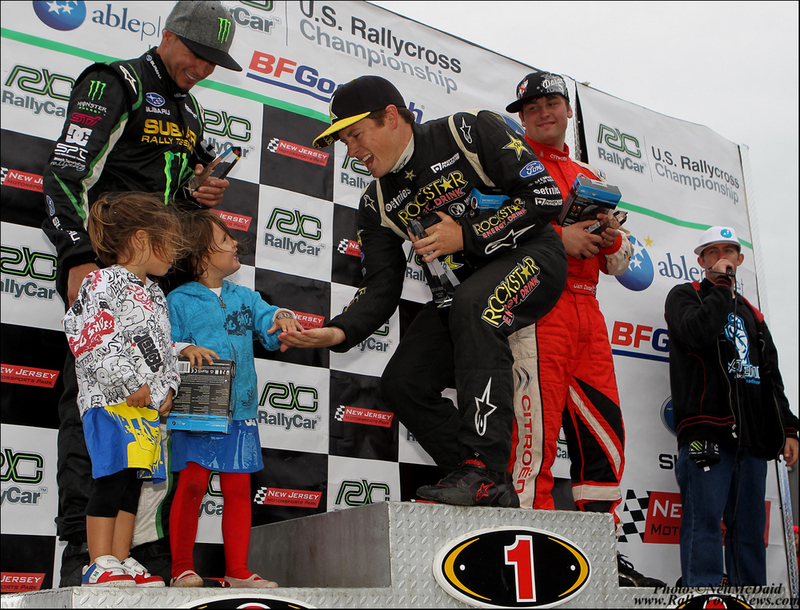 With the 2010 championship titles for AWD and 2WD still wide open, a new track format in place, and a special $20 per car load admission package offered to the fans, the stage is set for a very exciting conclusion to this, our first USA RallyCross season.